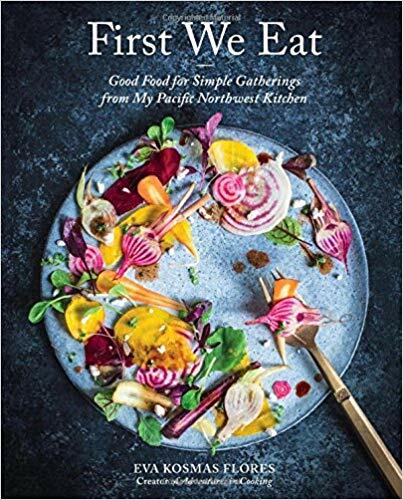 First We Eat: Good Food for Simple Gatherings from My Pacific Northwest Kitchen. Eva Kosmas Flores finds inspiration in her Greek heritage and the bountiful produce of her garden in Oregon. She uses both to craft her seasonal and approachable recipes, each paired with a mouthwatering image. The bounty of fresh, vibrant produce overflowing from her garden comes through on every page, and Flores undertakes rigorous recipe testing to share her most creative, delicious ways to make use of these foods.